Here at Scarboro Kia we take customer service seriously. It is our goal to provide the utmost quality of service and have our customers leave happy and fulfilled with their experience at our dealership. We pride ourselves in catering to the potential car buyer’s every whim, and in making their time with us one they would choose to repeat. The selection offered at our dealership is rivaled by none, and we have a strong track record of providing Kia’s to Canadians that our management is proud to stand by. Purchasing a new vehicle can be an intimidating process. It is our job to ease your fears and to help you drive away in the perfect car for your budget and lifestyle. A Kia is a strong affordable choice for a vehicle, whether it be your first car or your 10th, I promise you won’t be disappointed with a Kia. 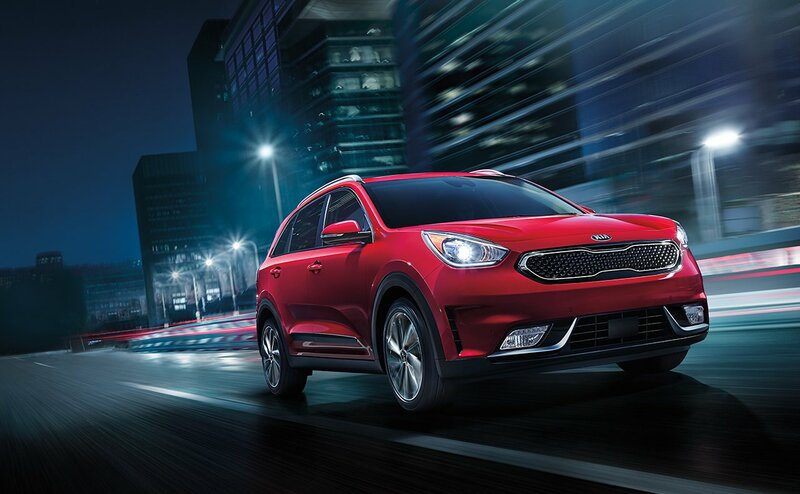 The 2018 Kia Niro is one of our most popular cars, it is classified as a crossover, and it offers the best of both worlds, car and SUV. The roomy interior of the Kia Niro is accommodating for people of all sizes, and the folding back seats leave lots of room for your four-legged friends as well. One of the best features of the Kia Niro is the awesome suite of safety features that comes standard with Kia Drive Wise. This safety integration suite includes smart cruise control, lane keep assist, assisted parallel parking, and rear-view cameras that look ahead. There is no doubt in my mind that our dealership can provide the expert service and quality care that you’re looking for when buying your next vehicle. We have a superb service staff to keep your car up and running once you buy it, and an equally qualified sales and finance team to make sure you pay what you want for the car you want. Stop on by and you won’t be disappointed.